Reviews of books, food, restaurants, etc. One of the things I love about my job is all the free samples I get sent to try out. 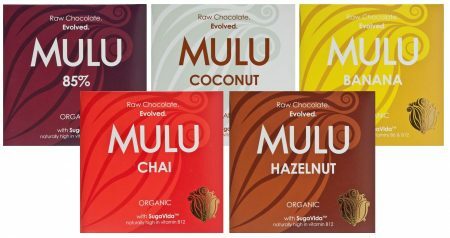 A couple of weeks ago I got sent samples of a new range of raw chocolate bars by Mulu. I remember a long time ago I used to really like Mulu bars, but I stopped eating and selling them because they contained agave which I found was not healthy. So when I was told these new bars are sweetened with SugaVida I was very excited to try them. And wow, I wasn’t disappointed. 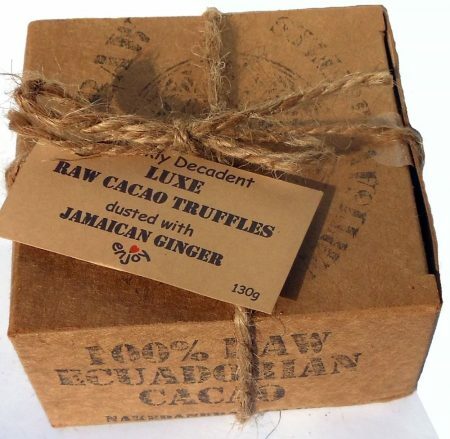 They are my new favourite raw chocolate bars! 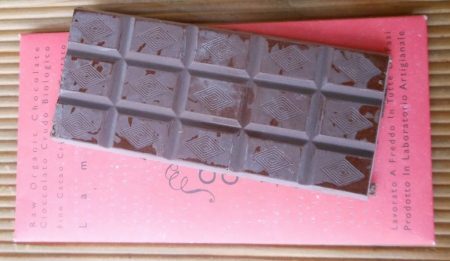 There are five bars in the range, four of which are “milk” chocolate style, using coconut cream as a vegan replacement for milk, and the other is a dark chocolate bar. 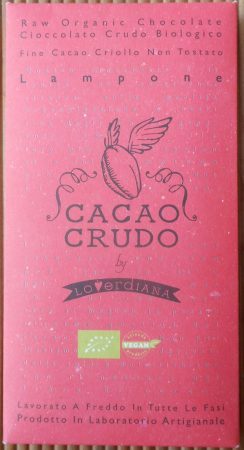 All the “milk” chocolate bars are amazing, the best raw “milk” chocolate I have ever tried. I’ll go through each flavour, in approximate order of which was my favourite, although the first three pretty much tie for first place. 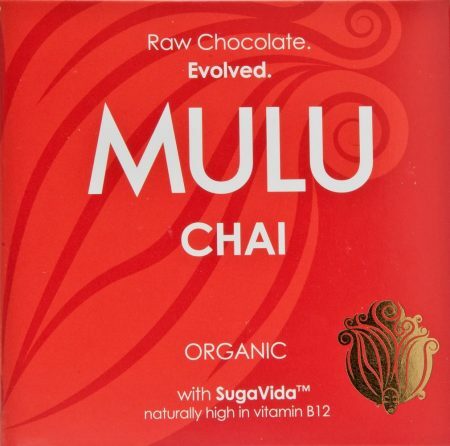 Chai – Amazing. “Milk” chocolate with Indian chai spices, absolutely perfect. Containing cinnamon, ginger, cardamom and cloves, plus vanilla. Hazelnut – Also amazing! Containing both hazelnut pieces and hazelnut butter, which gives a delicious hazelnut flavour and crunchy texture, along with the creamy “milk” chocolate. Coconut – Basically a plain “milk” chocolate bar, so creamy with all that coconut cream. 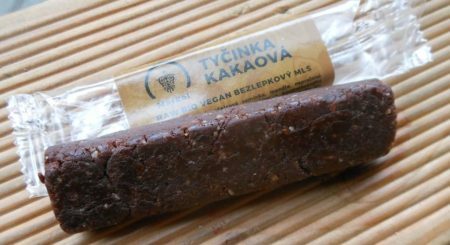 Banana – This is a unique idea, creamy “milk” chocolate flavoured with dried banana powder. 85% – This is the dark chocolate bar. For me this wasn’t quiet as exciting as the rest of the range, the coconut cream really is the standout point of these new bars, and this one doesn’t contain any. But still a good chocolate bar. 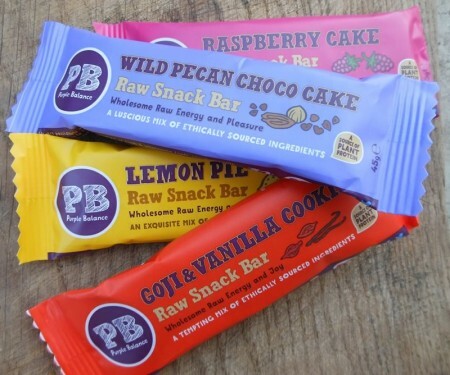 We’ve now got these bars for sale at Funky Raw with a special introductory discount of 10%. Plus we have a selection pack with one bar of each flavour with an even larger saving. This is quite a unique product so I was intrigued to sample it. 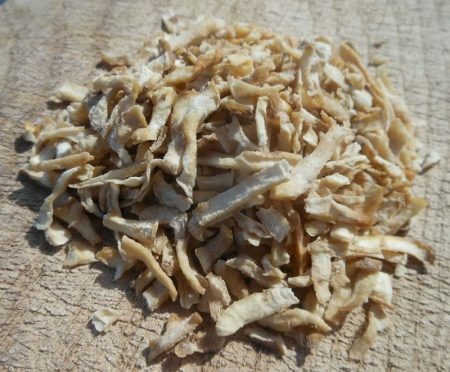 It’s got one single ingredient, organic Jerusalem artichoke, which is grated and dried to produce a snack. It is very crispy, but does soften quickly once in your mouth. And strangely, the flavour does remind me of crisps (regular cooked potato crisps), there is even a slight fatty flavour like crisps! The flavour is very subtle, and slightly balnd, I found I preferred to eat them with a pinch of Himalayan salt. I’m sure you could add other flavours, maybe a dash of curry powder would work if you like it spicy. Jerusalem artichoke is a pre-biotic which means it feeds the beneficial bacteria in your stomach, helping your digestive system. 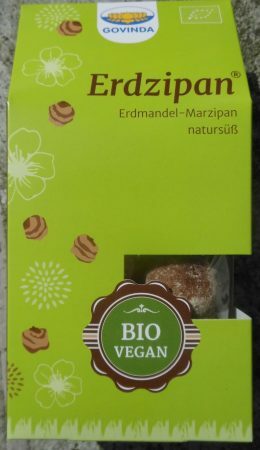 This product is made with Jerusalem artichoke grown organically in Slovakia. 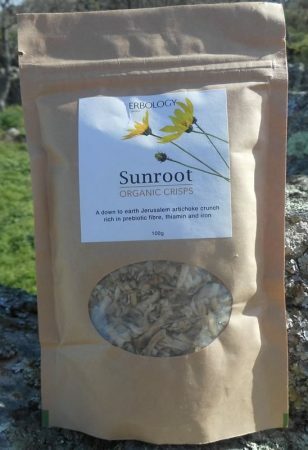 You can order them direct from the producers at the Erbology website. They cost £1.99 for a 30g bag or £3.99 for a 100g bag. 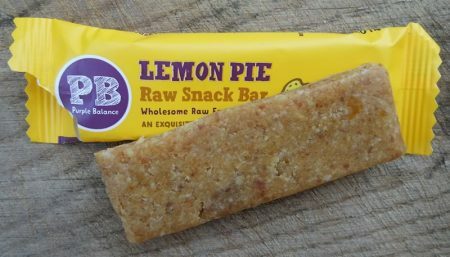 For me, I’m very happy that they are sweetened with raw honey (the same top quality raw honey we sell on Funky Raw), which seems quite a rarity in ready made raw foods. This is along with dates means there is no refined sweeteners, not even coconut sugar. All the bars are great, with a wonderful moist and chewy texture. 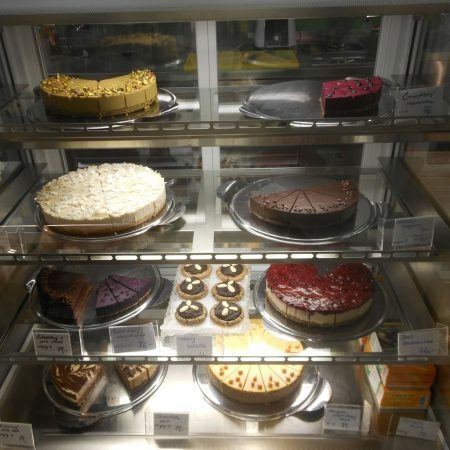 The Lemon Pie was probably my favourite. A good strong lemon flavour, great soft and chewy texture, 45g is just too small! The “Wild Pecan Choco Cake” was also delicious! It was chewy with a little bit of crunch from the pecans and hazelnuts. The flavour was great, mild chocolate flavour, sweet but not too sweet. The Goji and Vanilla Cookie was also very tasty. With 28% goji berries you can see the deep red colour of the bar. Plus the vanilla flavour comes though making this a top quality snack. The Raspberry Cake was slightly disappointing. Same great chewy texture as the others, but the raspberry flavour was very light. I got bursts of it now and again. 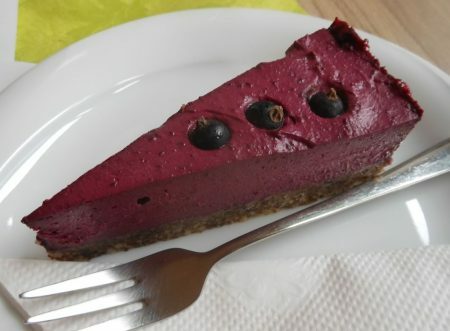 Although having experimented with raspberry powder myself trying to make raspberry flavoured cakes, I know how difficult it is. 5% raspberry doesn’t give much flavour compared to only 0.2% vanilla in the goji bar giving a wonderful flavour! All in all, to be recommended. 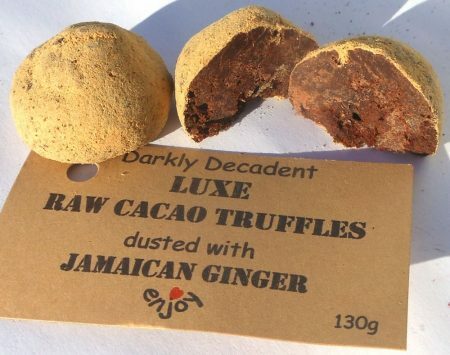 They are made in the UK, and you should be able to find them in your local health food store. If not, ask them to start stocking them. 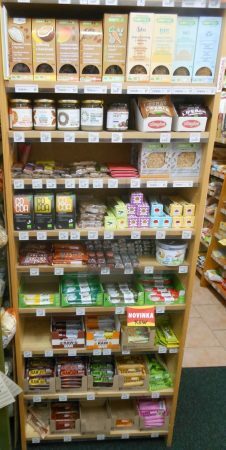 The recommended retail price is £1.89, so a bargain for taking with you as a nutritious snack, and because I like them so much, I decided to stock them at Funky Raw. We’re currently selling them by the case of 18 for £28.99, so only £1.61 per bar. Update: We are now also stocking a four pack sampler with one of each flavour so you can see for yourself which is best! This review was first published in Issue 26 of the Funky Raw magazine. The book is broadly in two parts, the first few chapters introduce Mark’s thoughts on money, why he thinks it is no longer working for us, how it is causing the destruction of our communities and the destruction of nature. He shows how money makes us feel like we are independent and don’t need anyone’s help, but that of course all we have done is switch our dependence from our local community to much further afield. 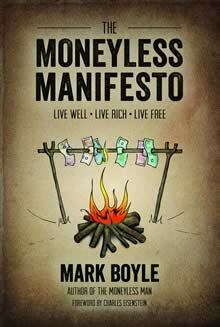 There is also a look at alternative ways of living without money. Then the bulk of the book covers how to live without money for various aspects of our lives, including land, food, washing, transport, education, leisure and more. Mark is always direct and forthright with his choice of words. Not many books where you can read sentences such as “I believe that shoes are like condoms, in a way” – this is in the section where he talks about walking barefoot being the only truly sustainable form of transport – “But I believe that until we feel the earth beneath our feet again we will never learn to walk gently on Her.” While you may find many ideas in this book radical, Mark is aware of this and tries to present a range of options to suit different people. While he gives as much detail as he can in this book, including recipes for natural cleaning liquids, hay fever cures, how to make compost, and more, he can’t do this for every topics as many subjects he touches on are books in themselves – I had to put the book down and search the internet to find out what a bow drill was and how to make one! (If you are wondering, it’s a simple tool which can be used to start a fire.) 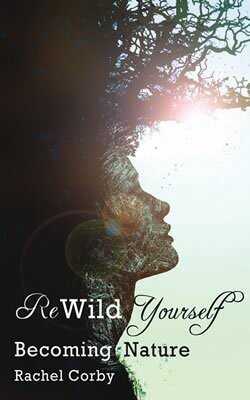 Throughout the book, Mark includes short sections written by experts in particular fields, including permaculture, compost, wild protein, hitch-hiking, home-schooling and more. There is a chapter on moneyless leisure. Mark says “Reality TV is the posterboy of a culture that consumes instead of plays.” Instead of listening to music created by other people from far away, he suggests that we would be more fulfiled by creating our own music, and he gives more ideas for ways of creating our own entertainment. I love this book. It is well written and engaging, I couldn’t put it down!